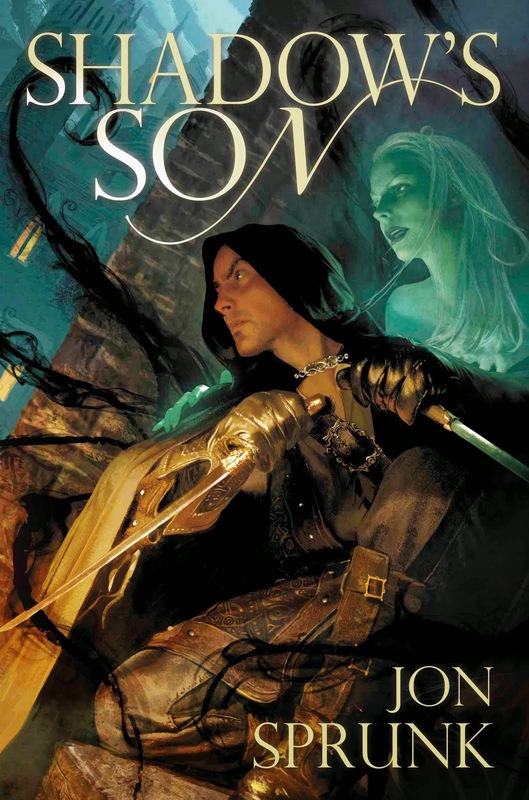 I found “Shadow’s Son” by Jon Sprunk to be a nice little fantasy novel. In the first chapter, we are introduced to Caim, an assassin with a highly developed sense of morality in the midst of a job gone wrong. The first chapter of this book is a very nice little exercise in fantasy writing. The characters are introduced well and the action is quick and decisive. If “Shadow’s Son” were a movie, the first chapter would be like the first segment you get in a James Bond movie before the title sequence. When I say that Caim has a highly developed sense of morality, I don’t mean that he believes his actions are correct. He doesn’t, and the contradiction of what he believes versus how he behaves is something of a torment. Caim gets through it by trying not to think about it too much, but that tactic fails him when he falls into the company of Josephine—a young noblewoman who is, herself, a target of assassination. This book is mainly an exercise in getting to know Caim and his world. There is a plot to overthrow the local government going on, but I was far more interested in the development of Caim the character. Caim possesses a couple magical abilities that scare and confuse him, but which he is willing to call upon when all other defenses have failed. Among Caim’s abilities appears to be the power to control shadows, or to render them into tangible, violent beings which may come to his defense. We come to learn that there is a mystery to Caim’s heritage which explains these abilities, but the scraps of information are few and far between. Also of interest is Kit, a ghostlike character who alternates between helping and antagonizing Caim. This character had the potential to be problematic, but she is very well realized in this book and I thought the story could have used more of her. Her presence again suggests that Caim is more than he appears, but he’s too busy running for his life in this novel to spend all that much time dwelling on who sent Kit or what she might be. As I was reading, I often saw a similarity between Caim and Batman. They both are representative of a certain common character archetype—I suppose you could call them the “moral vigilante.” Caim, as opposed to Batman, has no problem being lethal, but he is also a little more vulnerable than Batman. As the novel progresses, the young woman Josephine, who he is protecting, causes him to become introspective as to the purpose of his whole life. This was a very effective book and it succeeds in introducing the reader to some interesting new characters as well as fleshing out the world they inhabit. Even at the conclusion, there are plenty of questions left to be answered about Caim, his power, and his ancestry. In a very real sense, this book felt like the first step in an epic tale of self-discovery. You have to wonder, maybe with a sense of trepidation, what an assassin might find when he goes on such a quest. Pick up your copy here! About the reviewer: Walter Rhein is the author of "The Reader of Acheron," "Beyond Birkie Fever" and "The Bone Sword." He is also the editor of and a contributor to "Nine Heroes." Review of "Poets in Hell"